View cart “Sharp Pinconning Daisy Wedge 10 oz.” has been added to your cart. Mild Pinconning Daisy Wedge 10 oz. Medium Pinconning Daisy Wedge 10 oz. 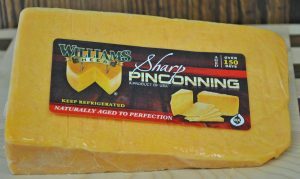 Sharp Pinconning Daisy Wedge 10 oz. Extra Sharp Pinconning Daisy Wedge 10 oz. Medium Pinconning Chunk 1.5 lbs. Sharp Pinconning Chunk 1.5 lbs. Mild Colby Chunk 1.5 lbs.